Learn how we make shopping for glasses easy and personal in our Frame Styling. Can’t find the perfect frame we can even special order you a different style, size, or color. 'All Inclusive' Eye Exam ~ Not just your standard refraction. A full health eye exam focused on you, your health and your vision. Retinal Photos, Dilation, Personalized Lens Recommendation and Frame Styling. Learn more. VSP and Most Insurance Accepted. Our goal is to help our patients See, Look, and Feel Great. Our ‘All Inclusive’ Eye Exam is focused on your long term health and giving you the best vision possible. We are about giving personal one on one service where we focus on each patient’s individual needs. Dr. Jamison will ensure great eye health and get you the right lenses and eye wear for your lifestyle. Our services include: ‘All Inclusive’ Eye Exam, Contacts Lens Exam, and Medical Eye Exam to treat common eye conditions like: Pink Eye, Eye Infections, Dry Eyes, Glaucoma and more.  We accept most insurance including VSP, EyeMed, Aetna, Health Partners, and more. Serving Eden Prairie, Chanhassen, Edina, Minnetonka and Minneapolis communities. We believe in using the latest technology and the best materials from brands like Varilux and Crizal. We specialize in our Diamond HD lenses which are personalized diamond cut digital lenses to give you custom vision that you cannot get from a one hour lab. Learn more about or RX lens materials and options here. Hands down, best eye clinic I’ve ever been to. Great selection of frames, thorough appointments, wonderful customer service — Dr. Jamison and staff give great input on frame selection as well and use different apps to compare look of frames. Read more reviews and testimonials. Great experience! Dr. Jamison is very detailed, patient, and took the time to explain things completely. Great selection of frames, and Tracy was great in assisting me in finding frames with a good fit and style too. Highly recommend a visit, great customer service!!! Read more reviews and testimonials. 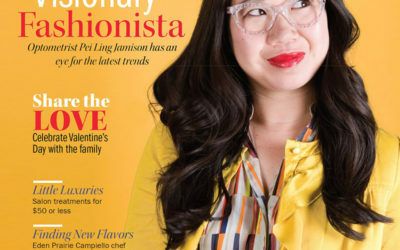 Dr. Pei Ling Jamison of Jamison Optical is a founding board member of Power of 100 Southwest, Women Who Care. 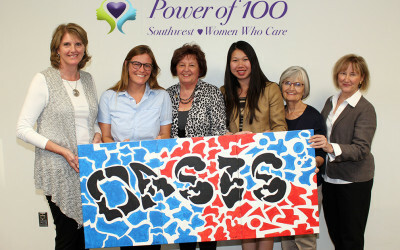 Power of 100 Southwest just donated a total of $13,050 to Oasis for Youth in Bloomington, MN. Learn more about how Power of 100 and Dr. Jamison is giving back to our local communities.